The holiday season is always a busy time of the year, so it is nice when you find a recipe that is simple and doesn’t consume a lot of time. Oatmeal is one of my favorites for breakfast; I like how it sticks to your ribs. I have read many recipes for crockpot oatmeal and they have always sounded so yummy, I am not sure why I have waited for so long to give this a try. I found this on Pinterest, it is so simple and quick to put together that I decided to try it for breakfast. 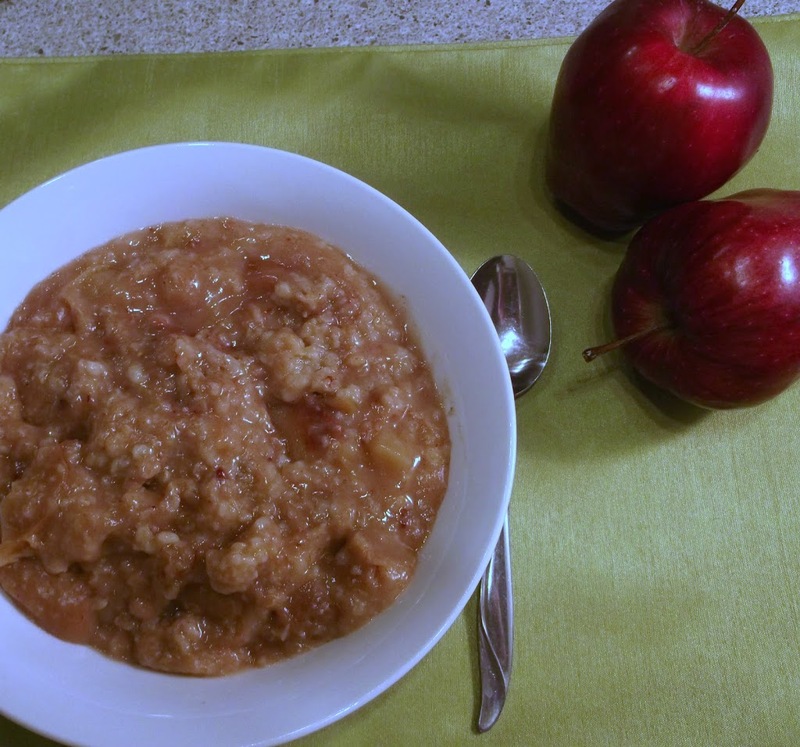 It is nice to throw things together into a crockpot in the evening just before you go to bed and wake up to the house smelling of apples, brown sugar and cinnamon. Hot oatmeal is one of those great breakfasts that will warm you up in the morning and will stick with you through the morning hours. I think it is a great way to start your morning and who doesn’t like to wake up to a house smelling of delicious food. 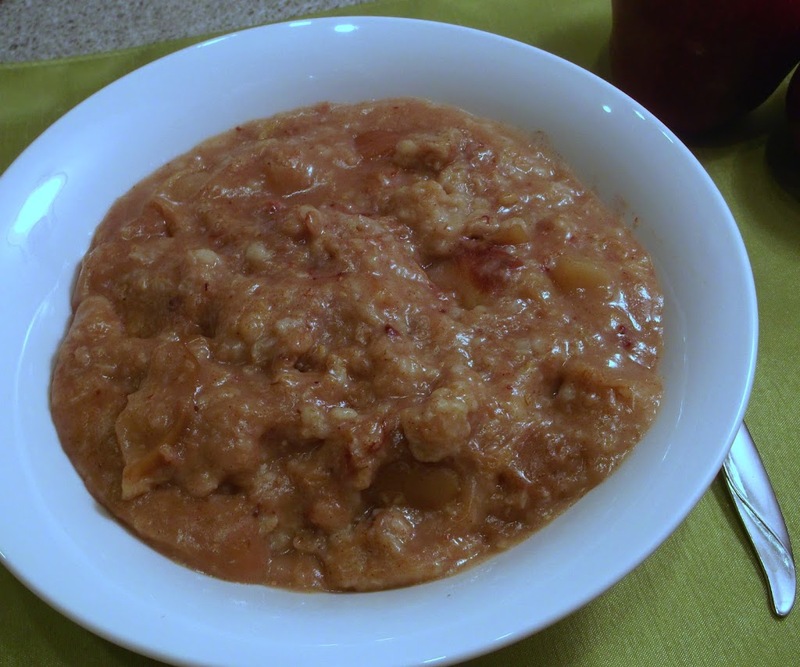 One note that I would like to mention for this recipe is that you add the apples, brown sugar, and the cinnamon in bottom in the crockpot; I had problems that it stuck to the bottom of the crockpot. The next time I make this I will add these ingredients last; I think that will solve the problem of them sticking at the bottom. Pour oatmeal into a crockpot add water. Top with apples, brown sugar, and cinnamon. Stir the ingredients until well blended. Cook overnight (8 -9 hours) on low. What a great way to start the day… it looks wonderful! 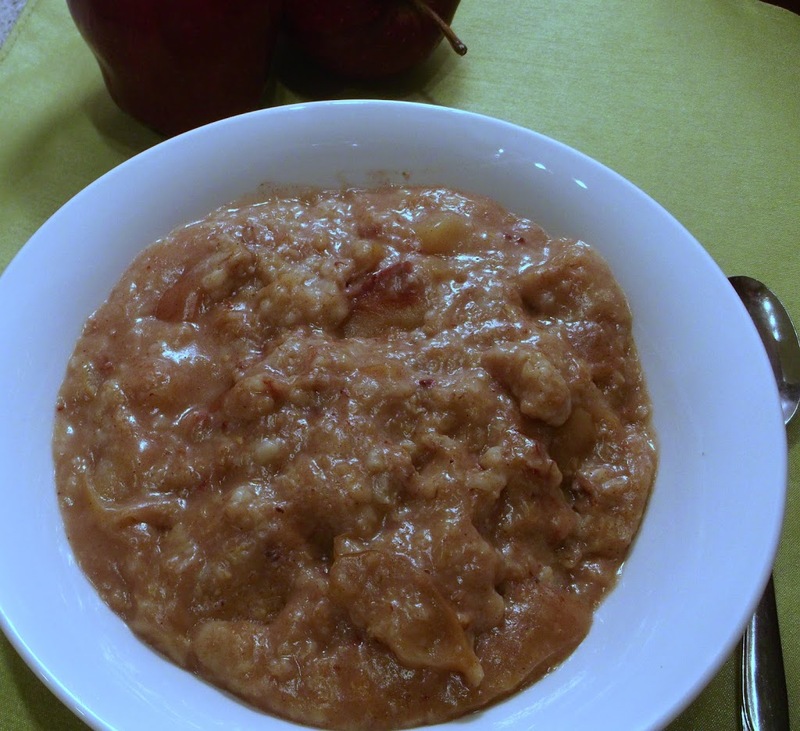 My mother loves oatmeal though I would prefer bread or rice for breakfast… Anyway, oatmeal with apple is a good idea. Cool recipe. I love oatmeal, but haven’t had it for awhile. Now I’m hungry for it! Good stuff – thanks. I hope you have a wonderful holiday.